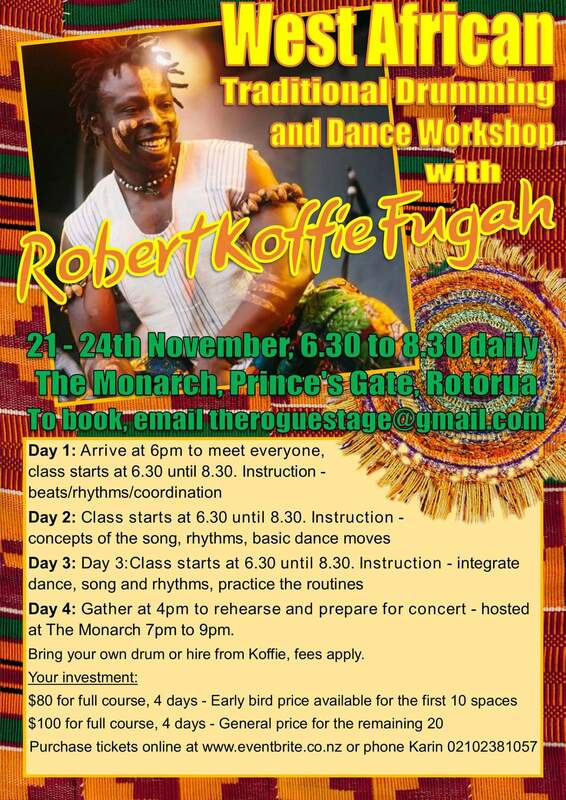 Join Robert Koffie Fugah for 4 days of hands-on instruction and learn a West African Drum Rhythm and a West African Dance Routine. Workshop Description: This is a 2 hour Drumming and Dance Workshop, providing the opportunity to experience the healing power of the Ancient African rhythms with a unique style of guided facilitation using songs, drumming and dancing from West Africa, especially from Ghana. Come and experience self transformation facilitated by Robert Koffie Fugah. Day 4: Gather at 4pm to rehearse and prepare for concert – hosted at The Monarch 7pm to 9pm. Bring your own drum or hire from Koffie, fees apply. Koffie Fugah is a teacher and performer of African drumming and dance. He is from the Abor village in the Volta Region of Ghana where music and dance are integral to life. He studied and trained in drumming and dance in Accra, Ghana. Robert has taught African drumming and dance for over 15 years in schools and to expatriates,both in Ghana and abroad. He moved to Otago New Zealand in 2013 and has developed a reputation as a talented and hardworking teacher facilitating workshops and performing across the country. Robert has been a featured performer for African Day in Wellington, Special performance at Parliament House, Prana Festival Coromandel, Luminate Festival Takaka, Evolve Nelson and the 2015 Cricket World Cup and the U20 Soccer World Cup, NZ, Guests Performer on What Now Kids Show on TV2. Please note: Special consideration for unwaged and low income attendees. Please contact me directlly for ‘Sponsored Placements’. 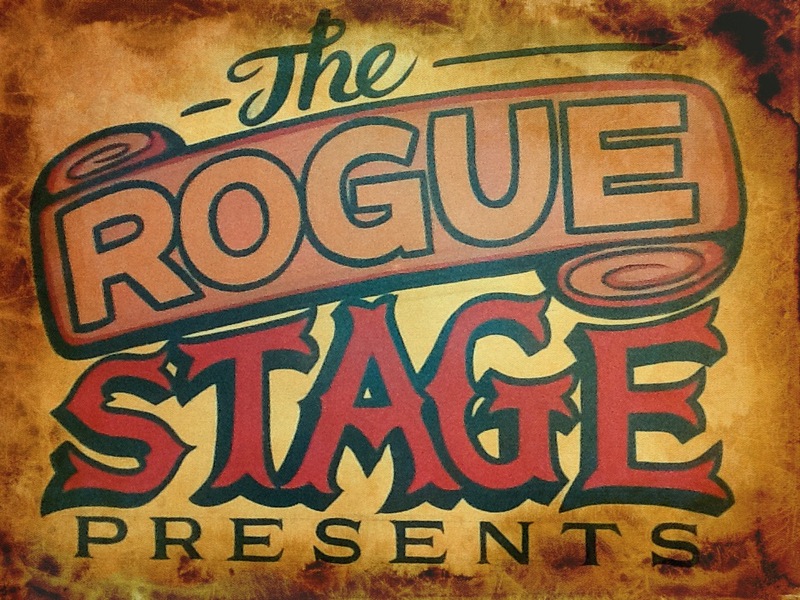 Email Karin Vincent at theroguestage@gmail.com or phone 02102381057. Accommodation for out of town attendees: Please contact Princes Gate at info@princesgate.co.nz or phone 073481179 to book a room. Plenty of options! Ed Zuccollo live at The Monarch 10 Sept! False Heights EP Fundraiser 17 Sept!